Skaro reigns supreme but who gets elevated for the FSL 2015 season?!? 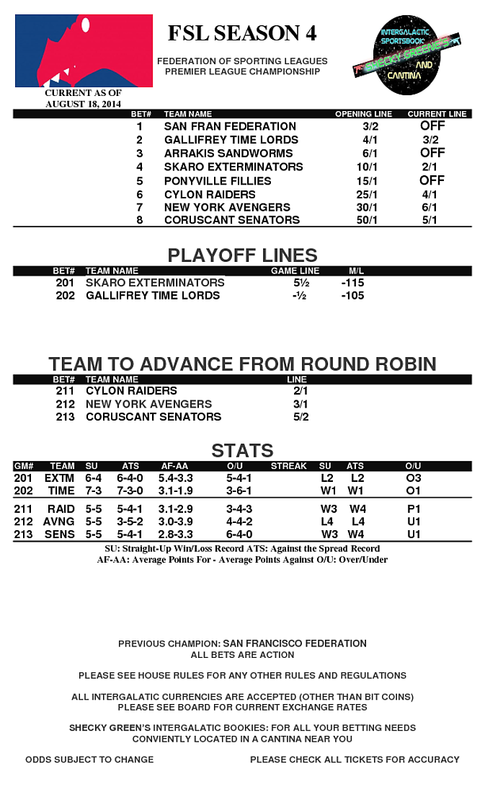 Hot off the presses we have the line for the FSL Season 4 Championship Game. Before you board your craft or beam yourself to Atlanta get your bets in! Come See FSL Tonight, LIVE! If you’re in Atlanta, get thee to DragonCon this weekend! Once you’re there make sure to be in room 203 of the Hilton at 5:30 PM (Eastern) on Friday night August 29th. Why? BECAUSE that’s when the live performance of the FSL Tonight Championship coverage happens. You will not want to miss it. BE THERE! Coruscant wins the East but do they have enough to beat Skaro? Gallifrey flies its blue box into the semifinals while the east can’t make up its mind who should go. 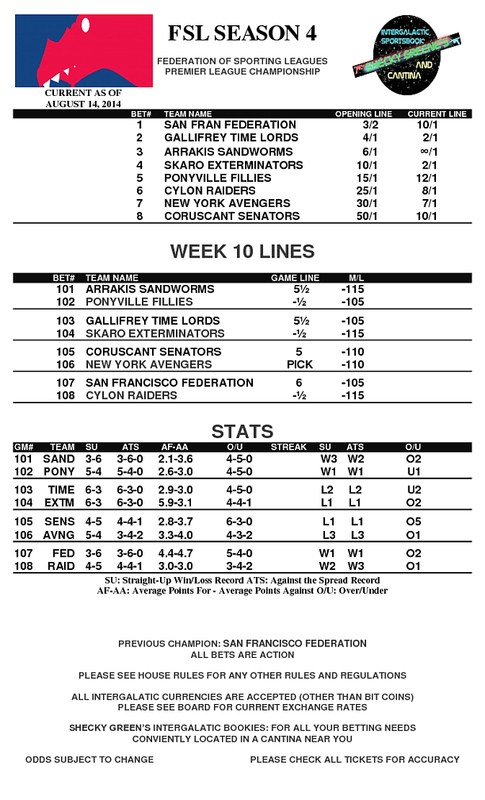 Hot off the presses we have the Week 10 Lines. Get your bets in on the final week of regular season action! Any team could make the playoffs and 3 of the four could get relegated in the east! 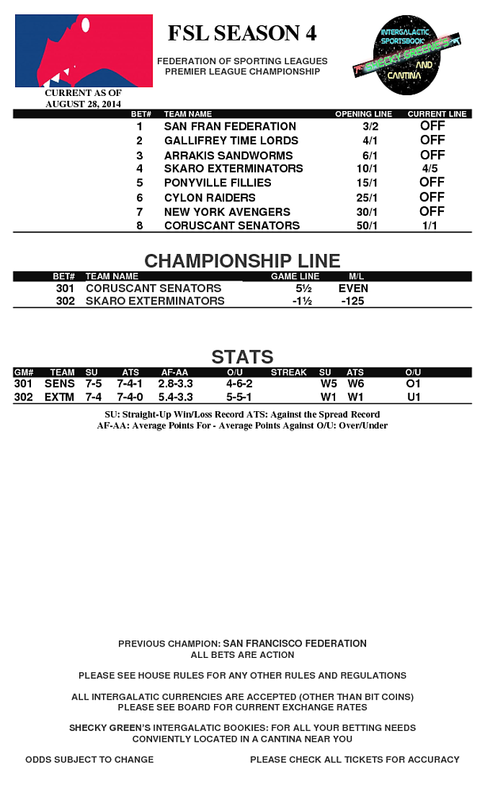 All of this has happened before, but does Cylon’s win mean playoff prophecy? Mr. Saxon sacks Ponyville while the Doctor chokes on the worm! Plus who’s getting relegated? Could Picard go from first to worst?